After the fat lady had sung her last breath, the Panthers finished fifth in 2018, once again being bundled out in the second week of the finals. Despite leading the competition by round 13 with a 9-3 start, the Panthers split their last 12 games 6-6 in the regular season. Origin bit down on them hard with James Maloney, Nathan Cleary, Reagan Campbell Gillard and Tyrone Peachey missing at times. Maloney picked up several injuries during Origin and his form was the never really the same as earlier in the year. A surprise mid-season review on the coaching performance of Anthony Griffin was undertaken during the round 13 bye week and this would be the eventual catalyst of things to come. Griffin was sacked four weeks out from the finals with assistant coach Cameron Ciraldo guiding the team to week two of the finals. In late October, Ivan Cleary was announced as Penrith’s 2019 coach. The mid-season retirements of Peter Wallace and Tim Browne, adding to the departure of Trent Merrin, Peachey and Harawira- Naera’s departure ensure Penrith have lost quite a bit of experience for 2019. That may well be the price of extending their exciting young talent in the off season like Cleary, Blake, JFH, Leota & Luai. That said, Fuimaono, Sele, MWZ and Tim Grant will certainly add depth to Penrith’s squad and Fuimaono may well be turn out to be a good buy. The Panthers roster is still strong with an Origin winning halves combination, exciting backs of Edwards, Blake, DWZ, Whare and the Sauce, added with a beefy pack and bunch of talented kids coming through should see the Panthers a top 4 contender. Penrith start the year at home against the Eels before it gets tricky taking on the Knights away and the Storm at Bathurst. The Tigers at home in round 4 should provide a bumper crowd and plenty of media attention. Over the first 12 rounds they only play four games against teams in last years top eight. More importantly they play the first bye in round 12 against Manly. Expect both teams to be depleted for that match. Players like Viliame Kikau, and possibly Josh Mansour, James Fisher-Harris, Waqa Blake and Isaah Yeo should be considered for round 12 depending on numbers. Their one and only bye is in round 16. They also play three of last years top four teams twice (Roosters, Souths, & Sharks). Notably, they haven’t beaten the Sharks since 2015, and 11 of their 24 games are against teams in last years top eight. 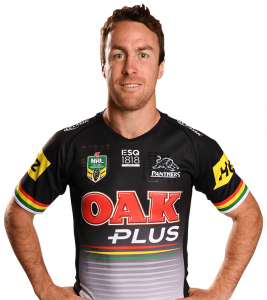 Any thoughts of James Maloney impacting Cleary’s scores in a big way last season were certainly unfounded after the first two games of the 2018 season with scores of 83 and 76. An eight-week leg injury to Cleary allowed Maloney to be top dog, but once Cleary came back from his injury and negotiated the Origin period, he went on a six game scoring spree averaging 80.3 PPG from rounds 19 – 24. Only in the final game of the regular season against the Storm did Cleary’s score dip under 40. It should be noted Maloney missed some of Penrith’s last few games and when he did play he was severely hampered by neck injury, a broken thumb and a toe injury. Despite this, going forward to this year I still expect it to be Cleary’s team. 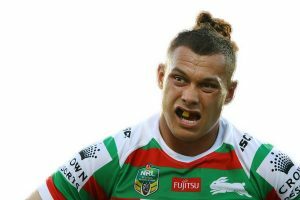 Cleary’s overall average in 2018 was 61.7 PPG playing him into equal 2nd with Daly Cherry-Evans for Halfbacks. Only Shaun Johnson averaged more with 64.4 PPG. How will he go this year with a hopefully fit and firing Maloney and the return of play making fullback, Dylan Edwards? Will the game plan change too much under Dad? It’s hard to answer those questions now before a ball has been kicked, but I don’t see too much of a radical change. Edwards and Cleary played together for 16 games in 2017 (15 of then while Edwards was FLB) and Cleary averaged 73.4 PPG. Looking at Penrith’s roster if Ivan can get the mountain men firing for 80 minutes and they remain relatively injury free expect more attacking stats. Barring injury I think Cleary will be in the top two of halfback scorers by the end of the year. He is young and is going to get better and better in the coming years. One aspect I expect to improve this year in Cleary’s game with Griffin gone is more drop outs. Griffin never really encouraged it close to the line preferring to the run ball on the last tackle rather than risking a seventh tackle set from a dead kick. Last year Cleary had two forced dropouts in 12 games. Once Griffin was sacked under Ciraldo he had four in three games. Past season averages of 70 PPG in 2018 and 66 PPG in 2016 make him one of the premium halfback options, further eroded by the retirement of Johnathan Thurston. After a great 2017 World Cup and a strong pre season, Kikau was rewarded with a starting berth by round four, and not only did he become one the best cash cows of 2018, but he turned into a keeper by seasons end. I know a few who sold him mid year and rushed to buy him back. He scored 1402 points with a 61 PPG average, placing him in the top four (in points) for front rowers and second rowers. Average wise he placed fourth in front row and eleventh in second row. He did play a few games off the bench last year so that average should go up, plus he is young and yet to hit the peak of his career. If he stays injury free and used effectively he is going to be a special player and a SuperCoach gun. The only downside with Kikau is he has lost his dual status. I would still back him to be one of the top six scoring second rowers by the end of the year though. He is an attacking stat beast with a PPM of 0.88. Need I mention he plays the first bye? With the mid-season retirement of club captain, Peter Wallace, the hooking role last season became up for grabs. Sione Katoa and Egan shared the role for most of the season with both of them starting and playing from the bench. Egan played 11 games last year (ten of them from the bench) with his only start in round 24 coming against the Warriors. Katoa started 14 games during the regular season under Griffin & Ciraldo and was the preferred hooking option during the finals. Egan’s minutes from the bench last year were around 25 minutes. More of an impact role and to give Katoa a breather. 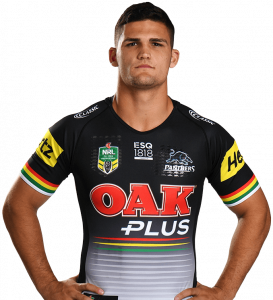 Our resident Panthers guru, Watson (love your work buddy), mentioned that Katoa picked up a niggling calf injury in the pre-season allowing Egan to get the jump on him training. Whether he stays ahead of Katoa once he returns to training, remains to be seen. Katoa has played rep football (nine games for Tonga) and is the more experienced of the two. You would think that if he got the starting gig his minutes would almost double and with a PPM of close to 1, there is obvious room for upside. I still expect the hooking role to be shared unless Cleary has other plans. If Egan does get the nod in round 1, I wouldn’t blame anybody from jumping on. However I have one caveat. As we saw last year with Ivan at the Tigers, he likes to keep players on their toes and if he is not happy with a player he will bench him or drop him to the reserves. We all remember his chopping and changing of the line up last year. It happened more than a few times. he alternated between the bench, centre and the back-row, playing 15 games. In 2017, he played five games in the second row averaging 37.6 PPG and six games in the centres averaging 38 PPG. Hardly “buy me” numbers, but it was his first year in first grade and he has enormous potential to improve on this output. In 2019, he has a starting price of $231,600 so there is money to be made if he starts. With the departure of Peachey, CHN and to a lessor extent Merrin, who played in the middle last year, Fuimaono could snare a bench spot. If he does makes the bench round 1 I can’t guarantee how many minutes he will play, but that is not where your interest should be. The key for him will be injuries. Given his versatility, if Blake or Whare goes down in the centres or Kikau or Yeo in the second-row then he would be an obvious contender to slot right in. He would obviously need a few things to go his way but at that price and having dual status he is one to keep an eye on. Maloney is only worth considering if something happened to Cleary long term during the 2019 season. In the opening two rounds of the season with Cleary playing by his side he scored three and 14 points. 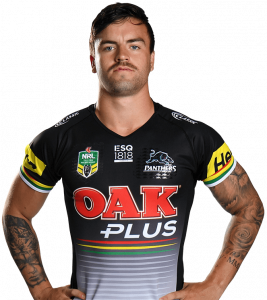 When Cleary went down with an injury in round 3, Maloney stepped up, ran the whole Penrith attack and in seven games he averaged 68.8 PPG, including two tons. His lowest score over this period was 43. Over the remaining ten games playing next to a fit Cleary (some carrying injuries) he averaged just 42 PPG including few of stinkers (scores of 8 and a pair of 17’s). Previous averages of 52 PPG (2017) and 50 PPG (2016) suggest that the days of him being a premium SuperCoach gun are over. I obviously hope that Cleary doesn’t go down, but if he does and Maloney isn’t carrying an injury, wait a week then look to trade him. Very nice piece of work Tommy, I have Cleary and Kikau in my side atm. Looked at Mansour as well but Waqa Blake is the one I’m trying to make room for now. He looks to be finally realising his potential however is it a coincidence that his breakout season was with Hook or just maturity, love to hear other peoples thoughts on him.